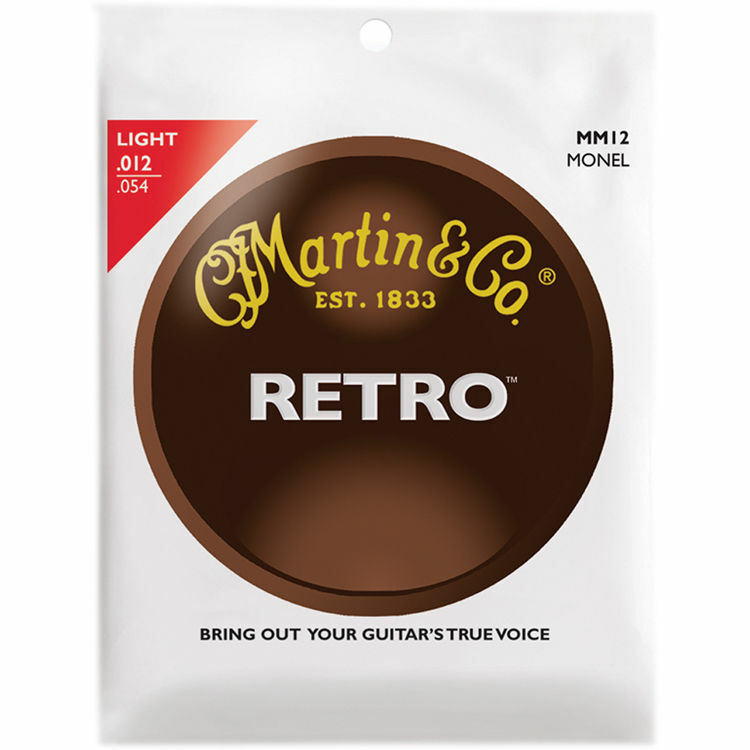 This 6-string set of Martin Retro Monel Acoustic Guitar Strings is manufactured from a long-lasting, nickel-based alloy blend, which has a mellower, woodier tone than traditionally brighter bronze strings. The light gauge measures from 12 to 54 for good projection with better flexibility for bending or fingerpicking. Box Dimensions (LxWxH) 4.9 x 4.5 x 0.6"